We have the great pleasure to announce this year’s recipients of our club’s Science and Engineering Fair awards. The Alaska Fly Fishers annually gives three awards at the fair. The awards are given to those students whose projects best contribute to our knowledge of fish and their habitats. This year’s fair was held at Northway Mall on March 24. The Elementary School award went to Speridon Simeonoff III, a 4th grader from Akhiok School. 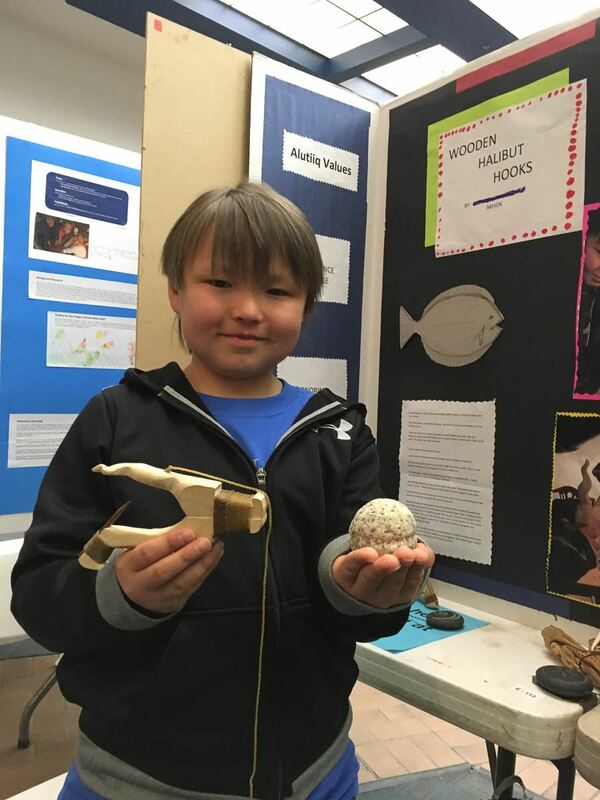 The 2nd award also went to an Elementary Schooler Manning Zhang, a 5th grader at Rogers Park Elementary in Anchorage. 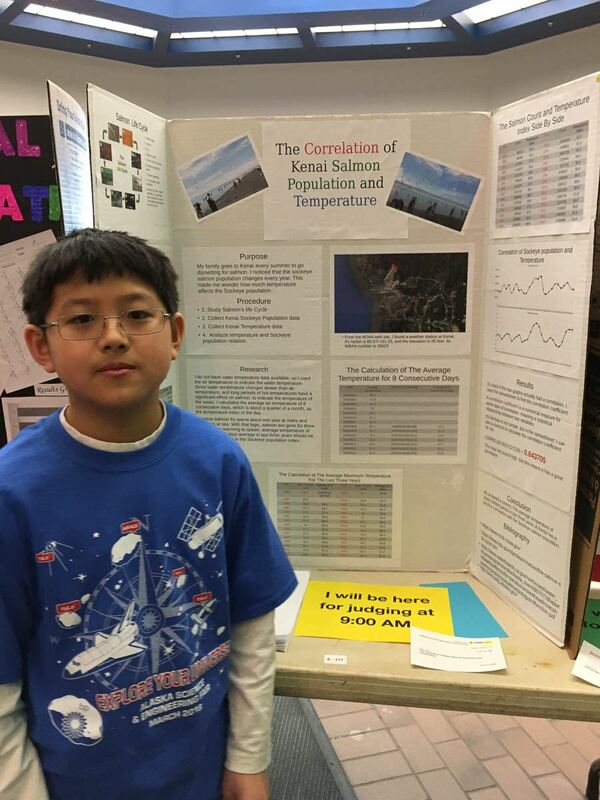 His project was Correlation of Kenai River Salmon Population and Temperature. He dip nets with his family on the Kenai River and was curious about the salmon population as it related to water temperature. He used ADF&G data and NOAA weather data to make his correlation. His data showed populations were the largest when the derived water temperature was in the low 60's. Pretty good research and data collection from a fifth grader. The High School award went to Eric Schumacher, a 12th grader from Juneau Douglas High School. 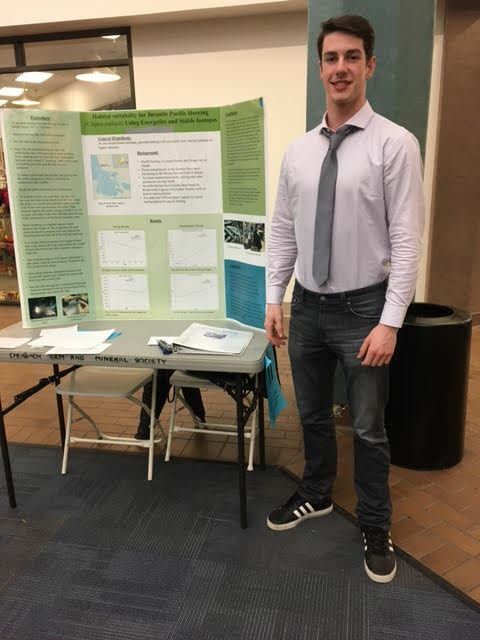 His project was “How Location Effects Energy Density in Pacific Herring.” He tested juvenile herring from Krusenstern Lagoon north of Kotzebue using energetics and stable isotopes. He found that the juvenile herring from this area had higher energy density that other areas in more southern Alaska waters. This supposes that as AK waters warm viable herring fisheries may extend to north. His work was done with NOAA support and oversight from the Juneau labs. Each winner will receive an award certificate and a $100 check from the Club. The awards will hopefully be presented at the May meeting, so please come and give a cheer to these young scientists. Congratulations to Speridon, Manning and Eric for their outstanding work! This year the Science and Engineering Fair was held in the Northway Mall on March 24th. There were about 180 elementary school projects, 70 middle school projects and 20 high school projects at the fair. Here are some takeaways: distracted/multi-tasking drivers have a proclivity for accidents; the 5 Second Rule is bunk; Color matters with ice cream selection; High Fluorocarbon wax on your xc skis last longer than non-fluorocarbon wax; Carnival Games ARE rigged; and Deforestation has a devastating effect on the environment, supported ecosystems and habitats.